At Xiaomi’s recent event, The company unveils the latest and the upgraded version of MIUI. Yes, I am talk about the MIUI 10 update, which revamped the UI and comes with some amazing new features. 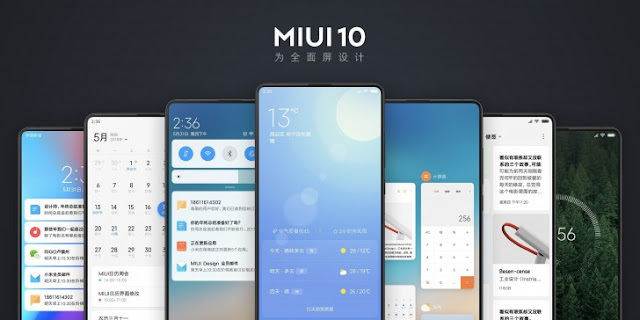 It has some amazing features same like the latest Android version, yes I am talking about Android P. So, the new MIUI 10 comes with similar features to the Android P. In this post, I will talk about 5 Best MIUI 10 Features. Xiaomi also announced the launch dates for the MIUI 10 for different devices. We all can get the MIUI 10 update on our phones till the end of July. Also, on May 24th Xiaomi opens the Beta registrations for MIUI 10 update for all the users but it’s not available yet. Mi 8, Mi Mix 2S/2, Mi Mix, Mi 6X/6, Mi 5, Mi Note 2, Redmi S2, and Redmi Note 5 smartphones will get the MIUI 10 China Developer ROM, from the 1st June. The public beta has been slated for late-June, with the same eligible devices. The Public beta will made available from end of the June for these devices, Mi Note 3, Mi 5X, Mi 5c, Mi 5s/5s Plus, Mi 4/4c, Mi 4S, Mi Max 2, Mi Max, Redmi 5/5A, Redmi 5 Plus, Redmi 4, Redmi 4A, Redmi 4X, Redmi 3S/3X, Redmi Pro, Redmi Note 5A, Redmi Note 4 Qualcomm/ Redmi Note 4X, Redmi Note 4 (MediaTek), and Redmi Note 3 (Qualcomm). Gestures are the new in thing in the smartphone world and Xiaomi also tries to put the gestures in their newer MIUI upgrade. Well, It is same as of the MIUI 9.5 update (which is not available in India yet). Also, these are very much similar to the iPhone 10. All the gestures are same, the Swipe Up gestures will show you the list of recent apps, Swipe left, will switch to the current opened app. You can also swipe from right side to go back in any action. You can also access multiple apps with help of these gestures. Though, It’s an beta version so the Gestures on MIUI 10 are very slow. MIUI 10 also updates the number of changes in UI changes. At first, Xiaomi introduces a new MIUI 10 theme named as, Rhodium which has new wallpapers and icons. Though, we can customize the MIUI Themes by own, this is one of the best thing I loved in MIUI. Also, the Notifications UI and other shades are now changed it looks similar to the Android P. It looks very similar to that. The volume slider also comes to the right hand side. Lastly, MIUI 10 comes with fully changed recent apps screen. You can also tap and hold for dismiss the apps or lock it. MIUI 10 also has AI in the main course. AI preload helps MIUI 10 which helps the MIUI to take a deep look to the user experience and preload the most used apps. Also, the AI makes some differences in the camera and makes the pictures more cool with some amazing portrait bokeh shots, both for single lens and dual lens camera. Also, The MIUI 10 comes with built-int preloaded Virtual Assistant, Yes it comes with Xiaomi’s own Assistant. Not with default Google Assistant. But it will only talk in Chinese. We all know MIUI has native screen recorder, but it has some bugs. But Xiaomi fix all these bugs and updates the older recorder. It also able to record the system sounds options in sound recording, which helps you to record audio from games. It’s a very handy feature for all of us when we are recording the screen. 5. New Features in MIUI Lab MIUI Lab is the place where Xiaomi tries out the experiment features on their devices. So, MIUI 10 comes with bunch of new experimental features. Taplus - which helps you to get more options when your are clicking to an image. Super Resolution - This works with help of AI and make your images more crispy. Car Mode - Yes, It comes with Car Mode but works only with Xiaomi’s Assistant. Well, These are some major features available in MIUI 10 and which comes to your phone within upcoming weeks most probably in July. The most liked feature by me is, UI Changes, which one is your favorite. Let us know in the comment section.